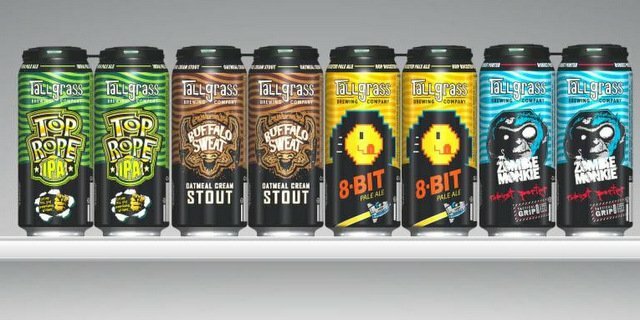 Oskaloosa, Iowa-based NoCoast Beer Co. announced its initial product lineup last week unveiling eight offbeat, attention-grabbing can designs offering a kaleidoscope of visuals. NoCoast says it doesn’t brew typical beer, so no sense putting that beer in typical cans. While the NoCoast brand itself is simple, each beer can design tells a different story. These stories help to illustrate the brand’s values through dynamic art and witty prose. Why cans? “Industry-wide we’ve seen a shift in recent years from bottles to cans. Cans are actually better at keeping the beer fresher for longer,” said NoCoast Head Brewer, Chuck Crabtree. The brand will release further details and information about each beer on their website and social media. Benjamin Fisco liked this on Facebook. Takehiko Nakahara liked this on Facebook.